Ronald Allan Stowell, 79, of Salida, died Feb. 7, 2019. Born to Herb and Maureen Stowell on July 24, 1939 in Greenfield Iowa, he was the second of four boys. He married Carole Grace Todd in 1961. They celebrated their 57th anniversary last October. 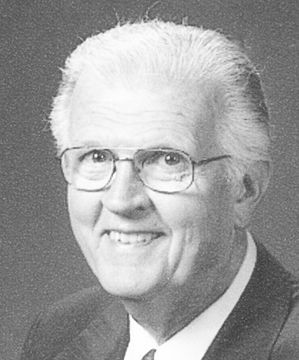 Mr. Stowell served in theNational Guard and then went on to own several businesses, including OK Tire franchise in Westminster, The Country Bounty Restaurant in Salida and Rocky Mountain Mini-Golf in Salida. Family members said he loved serving people – which was apparent in the perfect five-star rating of Rocky Mountain Mini-Golf on Trip Advisor, which was accompanied by many comments about his care of customers. In the last 37 years he was active in both First Baptist Church in Salida (now known as Grace Church) and Redeemer Presbyterian in Buena Vista. Family members said his faith in Christ was his highest priority in life. He was preceded in death by his parents and his older brother, Paul. He is survived by his wife Carole; sons Shannonand Ryan and his grandchildren Amber, Tyler, Ashton and Caleb. Services will be held at 2 p.m., Feb. 16 at Grace Church, 1320 D St., Salida. In lieu of flowers or gifts, the family would prefer donations to go to his son and daughter-in-law’s important work with marginalized students in Thailand through www.seedofhopethailand.org. Arrangements were with Lewis & Glenn Funeral Home in Salida.